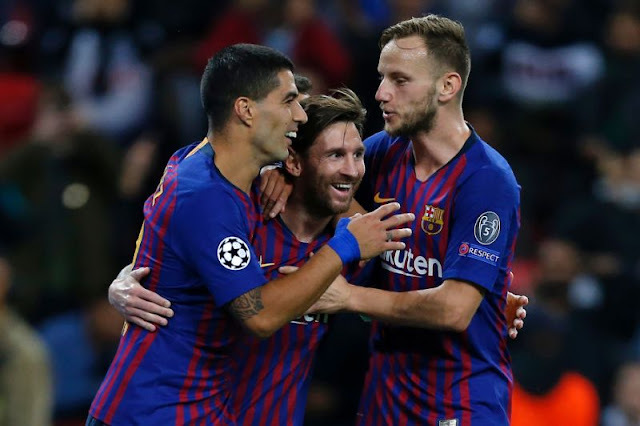 Messi struck twice as Barcelona inflicted more Champions League pain on Tottenham with a 4-2 win at Wembley on Wednesday, while Neymar hit a brilliant hat-trick in Paris Saint-Germain's 6-1 rout of Red Star Belgrade. After a few bad results it was important to do well today. Our response was very good, said Barca coach Ernesto Valverde.